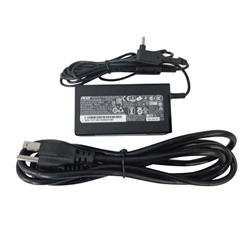 Description: New genuine Acer Aspire laptop ac adapter charger with power cord. This is a high quality 65 watt original replacement adapter. Part #'s: KP.06503.012, KP.06503.002, KP.06503.004, PA-1650-80, KP.06503.005, KP.0650H.006.